About a decade ago, German birthrates went from secular decline to modest but stable trend increase. We use a comprehensive regional database to analyze this turnaround in births as part of a wider process of demographic change, involving changes in population size, population age structure and fertility. First we use benchmarking to identify the characteristics of the top performing regions. Then we focus on the drivers of the observed birth turnaround. We find systematic differences between regions where births are driven by fertility versus those where births are driven by changes in population size or age structure. Our results suggest that family policy can make a contribution to raising fertility, although its impact will be different in different regions. To make them more effective, they should be recalibrated to address structural characteristics of regions. We conclude with a call for comparative European research on new trends in fertility and demographic change. In this paper we discuss the differences in fertility levels and timing among Italian regions. We firstly present the trends that characterized these differences in the last forty years along the North-South divide. We show, in particular, that in the first decade of this century the total fertility rate in the Northern area surprisingly surpassed the level of rest of the country. We then investigate the driving forces of this reversal, some related to the economic background of each area (e.g. women unemployment and participation to labor market), but also some related to its social and cultural characteristics (e.g. welfare effectiveness, diffusion of new family behaviors). We conclude discussing the perspectives of fertility levels, positive in the centre-north, negative in the southern area, due to a combination of restraining factors that policies should remove. The paper contributes to the discussion over the development of a scientific paradigm that would enable scholars to analyse concepts of collaboration, its unfolding processes, dimensions and challenges within resilient community organisations. 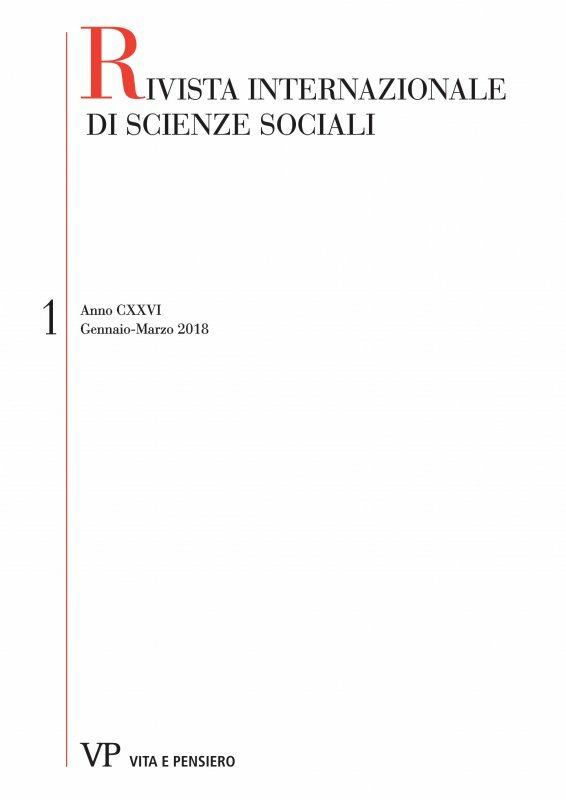 In the attempt to fill the gap in the literature, this study-case on the City of Matera represents a tool for understanding the complexities of governing systems in the perspective of Community Governance and for suggesting criteria for actions in creating a shared, integrated, networked-based and systemic public value. The analysis focuses on socio-economic and informal organisational systems that are necessary to implement modes and places of collaboration when delivering public services in a resilient community. Emphasis is also given to obstacles resulting from building resilience which require an increased collaborative and social entrepreneurship. Hence, key challenge for resilient initiatives is to become viable models in enhancing community’s ability to learning and to self-organise to make decisions sustainably. Rural households bear the brunt of low quality of life and are characterized as having low opportunities (capabilities) and low realized welfare or poor attainment of set goals (functionings). Wellbeing of rural households in Nigeria was therefore investigated in this study. A multi-stage probabilistic sampling was used to select 203 households in the state and data were analysed using descriptive statistics fuzzy set and ordered probit model. Functioning was higher than capability among the youthful, middle-aged and elderly heads. Rural households had high capability but low functioning in education. However, the presence of a health care delivery facility in a rural area did not guarantee access to it nor did it ensure its functionality. Female-headed households had lower capability and lower functioning than their male counterparts. Farming enhanced the wellbeing of the poor while non-farm activities enhanced the well-being of the non-poor.